Embrace the confort of the best services and location you will ever have. VIP Villas are a private, luxury residences, exclusive and comfortable alternatives. 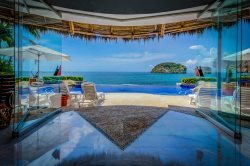 A villa is consistently luxurious, with high-end amenities and attentive service that offers a unique experience to all the guests. VIP Villas includes different services starting from bilingual Concierges, to Full Staff, providing Meal Services with chefs & assistants, waiter, bartender; Cleaning Services: maids, Personal laundry service and Daily housekeeping with the most attentive and professional service. Wonderful villa in Puerto Vallarta , Quetzal's House.